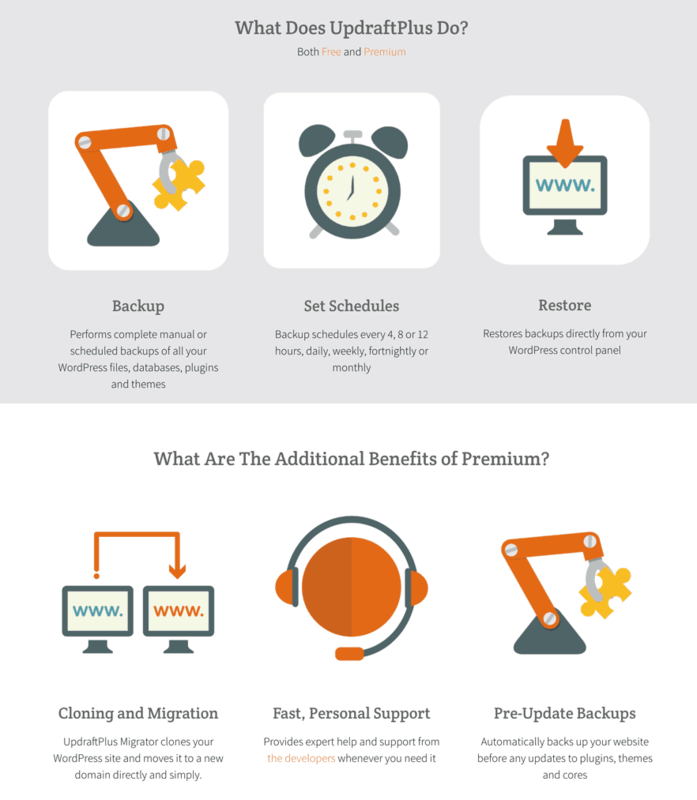 Once you have Updraftplus installed & activated, you can schedule & automate your WordPress backup. The premium version let you store your backup on their own cloud called Updraft Vault storage. If you want, you can also use Dropbox, Google Drive, Amazon web services, FTP server or Rackspace cloud files. No need to get confused with so many options as plugin comes with a handy guide to help you setup the backup system for WordPress of your own. 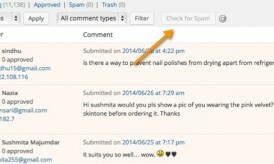 Everything is graphical & anyone without technical skills can also use Updraft plus plugin to backup WordPress website. This plugin is also handy when you are changing WordPress hosting. This is a must have a plugin to back up your WP sites, this plugin is an all-rounder when it comes to backup your WordPress blogs. Also Read: How to Backup WordPress With Dropbox and Automate it? Another best way to take backup of your blog is using your hosting provider. 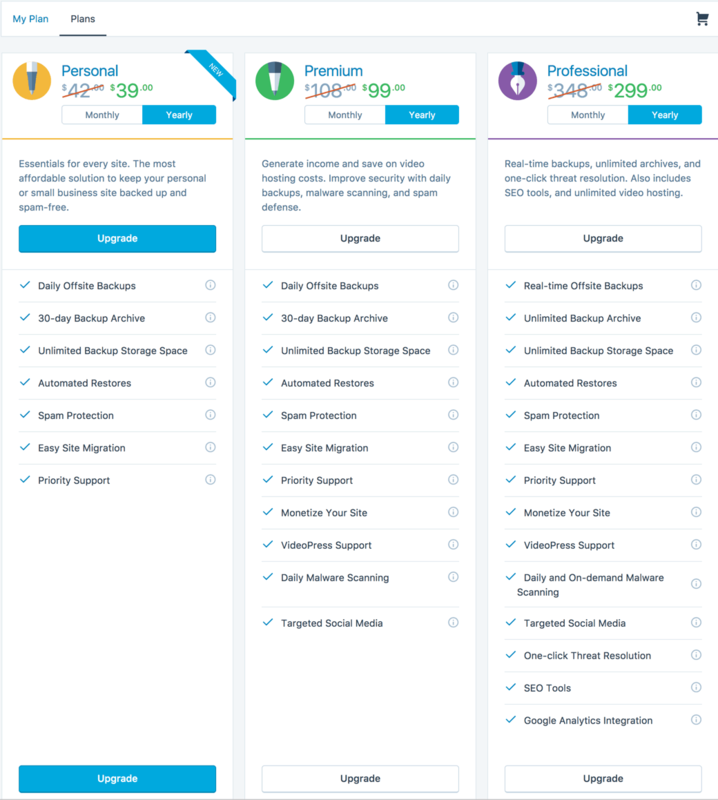 If you are using any managed WordPress hosting like Kinsta hosting, WPEngine hosting then you don’t need to worry about taking backup of your own. As these hosting companies take daily backup at an offshore location. The case may or may not be same when you are using a shared hosting company. The only thing that you need to check with your hosting company is; if they are storing the backup on a remote server or the same server. If it’s the same server on which they are taking a backup, then it’s of no use as a server failure means you would not have access to your backup as well. However, many shared hosting companies like BlueHost, HostGator do take offshore location backup which is good enough. Here, I’ll show how to back up your entire blog using HostGator CPanel. Note: You may only create cPanel backups of 4 GB or less. If your backup is larger than 4GB, you must contact HostGator support for help to bypass the limit. The duration of backup depends on the size of your blog. Of all the above options, most reliable is VaultPress, but it’s not free. Taking complete WordPress backup on your Dropbox account is also a good idea. You can use any of the above-mentioned methods, as long as you are taking backup of the database, and WP-content folder. Do let me know, which method you are using to take your WordPress Website backup? What about BackupBuddy? I hear that it’s very popular and good. What do you think about it? I’m wondering about choosing which one between BackupBuddy and BackWPUp. BackWPUp is free, which is good, but just wondering.